Aftersales includes both our technical workshop-based roles and our front-of-house customer facing roles (service and parts). The responsibilities of this department include the management of all actions required in routine vehicle servicing, diagnostic work and emergency visits. They offer a bespoke, exceptional experience to our customers while arranging and completing work on their behalf while, behind the scenes are our state-of-the-art workshops, each one brand-specific and equipped with the latest diagnostic technology. My daily jobs are servicing and repairing cars in our small, experienced team. It’s a fabulous environment, both because of the facilities we have but also because of the team, who I get on really well with! I’ve found that we don’t just have access to good training facilities and courses, but also involved mentors and a company that want to support your career development. I really see Jardine’s company values come to life in our workshop, where we’re all honest, open and passionate about doing a good job for our customers. ​I look after a team of 6 Service Advisors, who help our customers when they bring in their vehicles for servicing or repairs. I was promoted into this role and alongside leading the team, I still have my own customers and work hard to lead by example, always ensuring they have an exceptional experience. Prior to Jardine, I worked for Sytner and I really rate JMG for our employer benefits, career opportunities and listening to their staff. 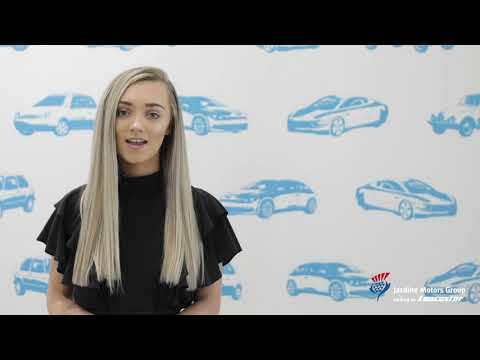 Having started as a member of the service team at JMG, I was keen to get into a vehicle Technician role after having my daughter, as this is where my previous experience had been. Jardine Motors supported me in achieving this and I now work in the workshop at Volkswagen Milton Keynes. What I love most about my job is the team and how well we all work together; I’ve found my manager to be incredible in ensuring that I have a structured flexible working agreement, to support me as a working mum which has enabled me to have such a rewarding career, doing a job I love. I look after a team of 6 Service Advisors, who help our customers when they bring in their vehicles for servicing or repairs. I was promoted into this role and alongside leading the team, I still have my own customers and work hard to lead by example, always ensuring they have an exceptional experience. Our Front of House Service teams are our customer service champions! Welcoming their service customers daily and keeping those already booked in in-the-loop with dedicated updates and insights, keeping them well informed. Our Technicians service, maintain and fix our customer’s vehicles ensuring a first time, on time, fix - every time. Due to expert training and brand accreditation, there are multiple specialist levels of technician colleagues including diagnostic and service. Our Tyre Fitters and MOT Testers work on standardised processes, working in an efficient manner checking legality, safety and keeping their customers well-informed. Our Bodyshop professionals have varied experience sets, working on bodywork, interior and electrical vehicle-fixes in an efficient manner, ensuring future vehicle safety and aesthetics. Our Aftersales Administrators are experts in their brand’s guidelines, processes and policies, ensuring we are able to claim any work back that is covered by manufacturer warranties and that service job timings and standards are prepared for effectively.